So, as you can see from the name is that today has been very stressful. First off, my crush managed to find out that I had a crush on him. Which turned out to be extremely awkward seeing as I have two classes where I sit next to him. Secondly, my gig was cancelled. And last of all: I had an argument with my best friend. But, no matter. I've always had bad days on Valentines Day. I'm posting a sketch I did during my English class when we basically had a free period. I had finished my assessment so my teacher gave me some paper and practically said, 'Do whatever you like'. So, of course, I sketched. 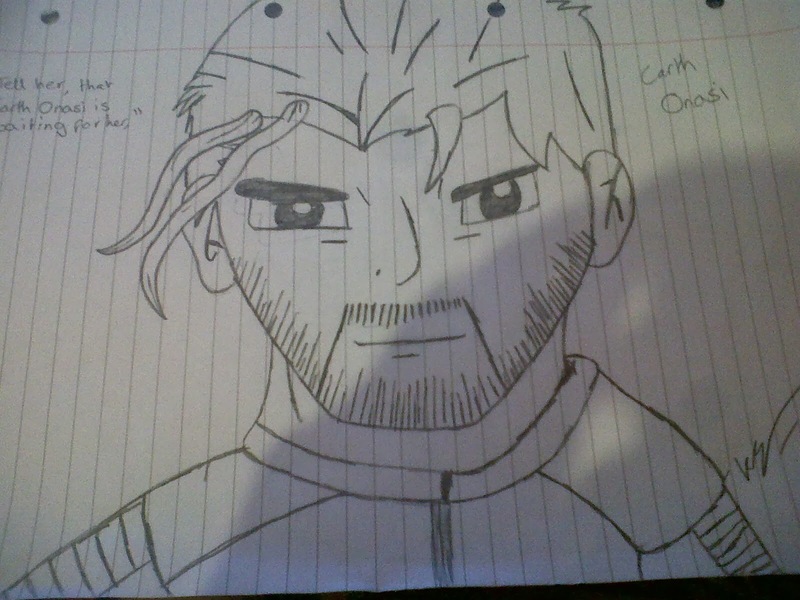 His name is Carth Onasi from the game KotOR (which, after 35 hours, I have finally completed). Like your mum said, Ice Cream should make you feel better. In fact it should be available on the NHS!